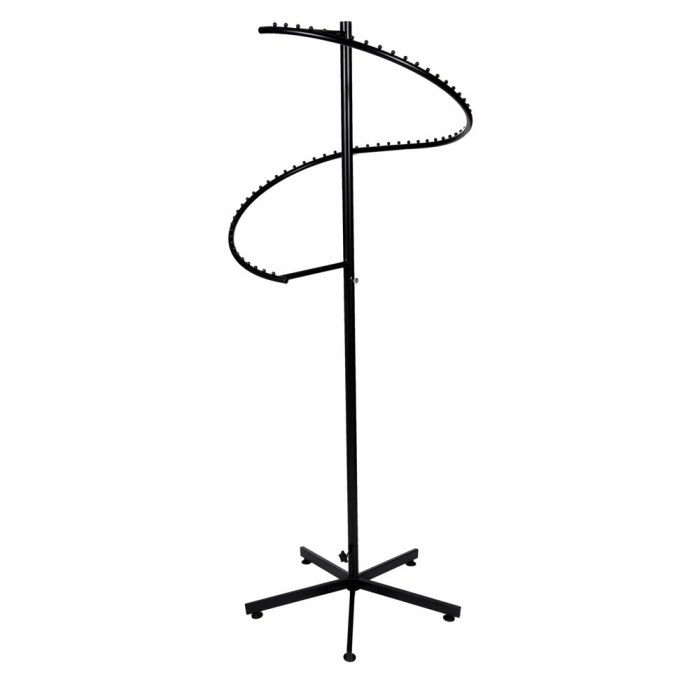 Retail quality UK made black spiral merchandising clothes rail. 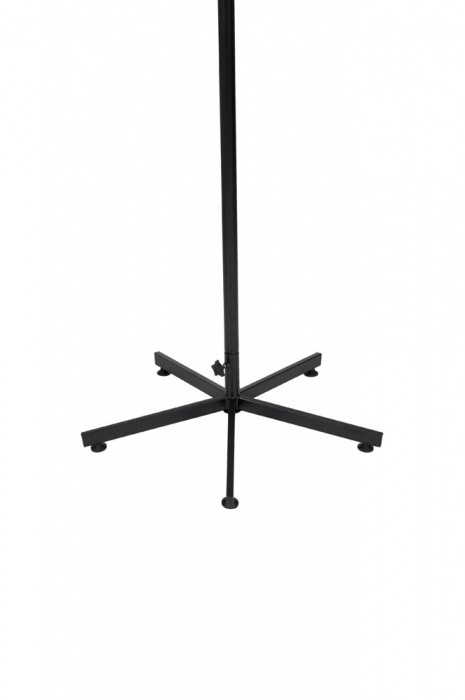 Stands 1900mm High and has 63 Ball stops for garments. The unit comes with a Black matt 5 Star base. 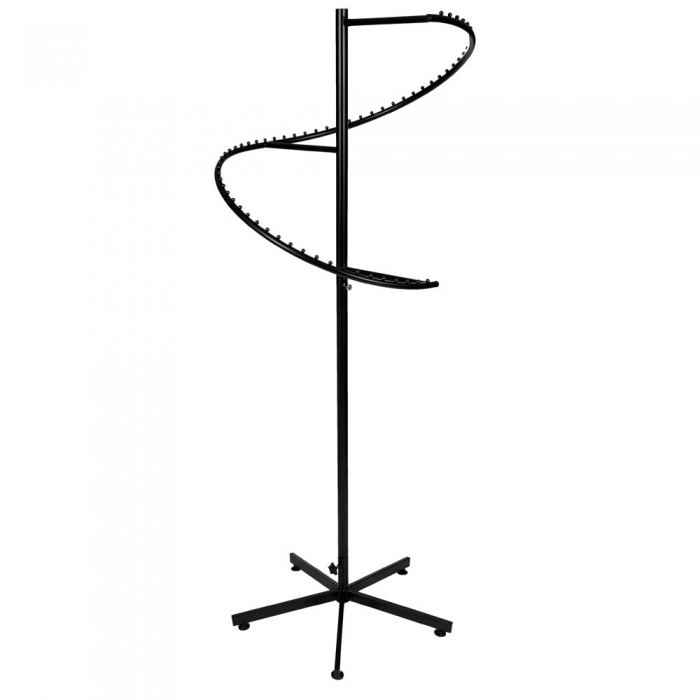 Easy to assemble spiral rails which offer high density presentation within a small floor space. UK manufactured, ideal for retail environment, fitted with balls to locate garments to. Perfect for merchandising. 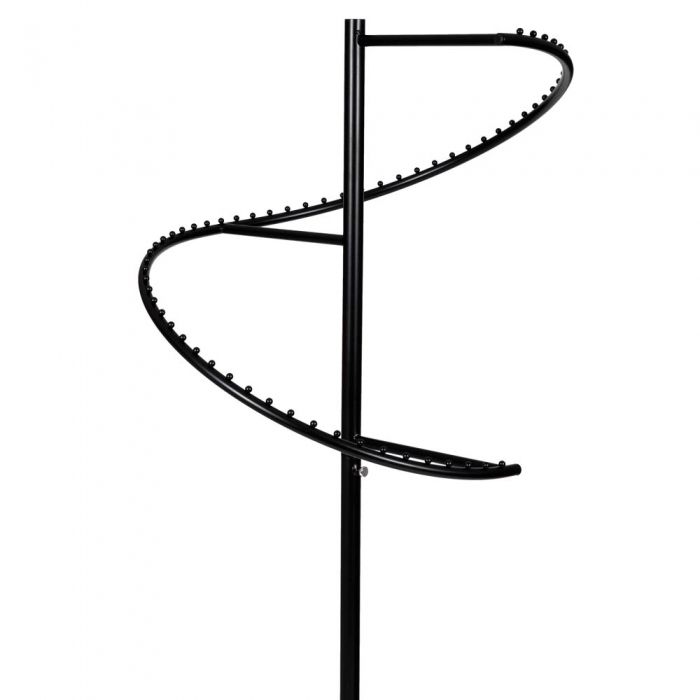 The distance between each ball on our spiral clothes rails is 1 inch. Please allow around 10-14 working days for delivery.